Dennis passed away peacefully with his family by his side on the morning of March 27, 2019 at the age of 72, after a courageous battle with cancer. He was predeceased by his parents Bill and Lorna Grove, his twin brother David, brothers Ted and Ken, sister Joan, and brothers in law Denis and Don. He is survived by Stella, his wife of over 51 years and children Leah (Dave), Glenn (Crystal), Jennifer (Bruce), Tara, and Tracy (Joel). His cherished grandchildren Tayler (Rhys), Kayla (Taylor), Trinity, Ethan, Priya, Amanda and Soléna. Sisters Lorraine, Gwen (Harry), Margaret, Gayle (Ted), brothers Jim (Pat), Ron (Barb) and Norman (Valerie), sisters-in law Anne, Mariah and Donna along with many nieces and nephews and a great- grandchild on the way. He also leaves behind countless friends and extended family. Dennis was born and raised in Selkirk, Manitoba where he attended school and at the age of 17, began his electrical apprenticeship. He became a journeyman electrician at the age of 22 and he was very proud to have continued his career over a span of 50 years. He worked for various companies in the electrical trade, the last and longest being Tri-Star Electric. Dennis was always active in the community and engaged in various sports as an athlete, coach and spectator. He was involved in all aspects of his children's sports from ringette to baseball, hockey to swimming. 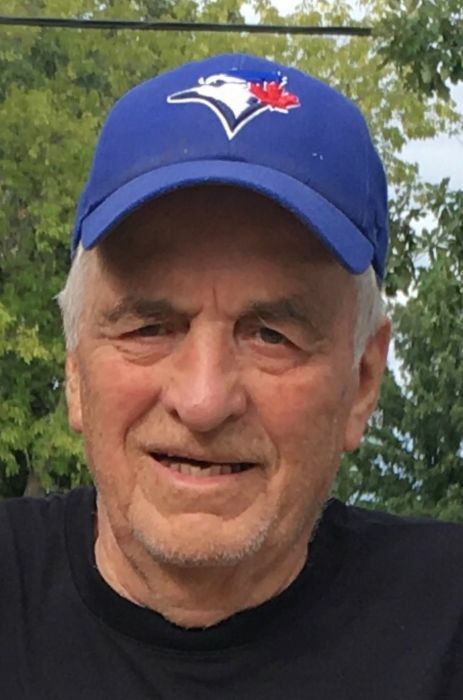 He was an avid fan of the Winnipeg Jets, Toronto Blue Jays and Minnesota Vikings (even though we heard him screaming at the tv in frustration at times). As a volunteer, he helped out on numerous boards and in any other capacity that was asked of him. In later years Dennis developed a passion for Metis Dancing. His Aunt Dot and Uncle Alec introduced him to the dance of the Metis and he was hooked. He was a mentor, teacher and judge over the years and was well known as "The Professor of Dance." He was proud to have served as the Ambassador of the Metis Pavillion at Folklorama. He was a dedicated husband, father, grandfather, brother and friend. We already miss his kind heart, generous spirit and infectious sense of humour that was with him until the end. He never let an opportunity pass to provide a quick witted comment to anybody he met, including his nursing staff, family and friends. Special Thanks to the medical team at Cancer Care Manitoba and Health Science Centre especially Dr. Paul. All are sincerely appreciated for their care and compassion. Flowers are gratefully declined. In memory of Dennis, donations may be made to The Cancer Society or the Heart and Stroke Foundation. Please also consider signing an organ donation card and pass on the gift of life. Memorial service will be held on Tuesday, April 2, 2019 in the Gilbart Funeral Chapel, Selkirk, MB at 2:00 p.m.
Honorary pallbearers will be Billy Atkins, Clarence Hood, Pat Pruden, Norm Pruden and Lynn Clemons.